Trump was vindicated on Friday as Special council Robert Mueller’s investigation concluded that neither the president nor his campaign colluded with Russia during the 2016 election. However, this news is only surprising to those foolish enough to accept that Russia was involved in hacking the election to begin with. There’s a trail of evidence for anyone willing to dig for it. It’s not the evidence you’ve been told about, nor is it the story the media has lead you to follow. Yet, inevitably it’s the truth that inexorably has lead to the only conclusion Mueller could possibly come to. Trump did not collude with Russia to hack the election because Russia probably didn’t hack the election in the first place. For the past two years, the liberal media has maintained with utter surety that Russia interfered with our elections. A narrative that was spawned largely on a presupposition by Obama era intelligence community officials touting its authenticity. While Republicans and Democrats alike unquestioningly accepted this conclusion, Democrats went a step further insisting that Trump colluded with Russia to win the White House, while Republicans capitulated as usual. Thusly, a special council was born and the result has been two years of controversial history brought about by Robert Mueller who was charged with discovering possible collusion and obstruction of justice by Trump and his campaign. Trump (who’s presidency has been overshadowed by this investigation) began consistently calling the Mueller investigation a “Witch hunt” from the outset. 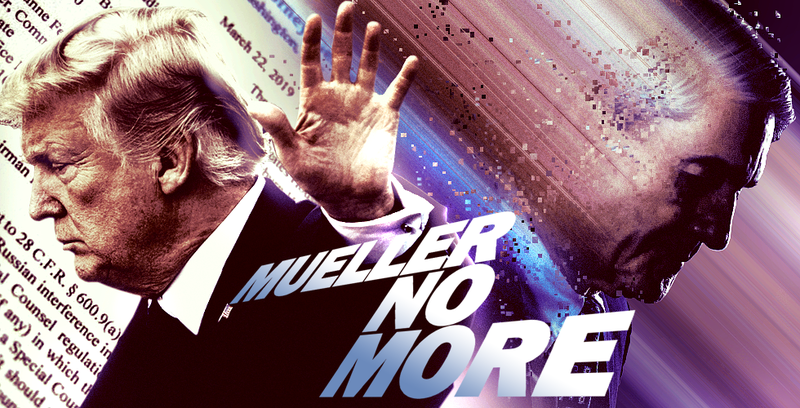 However, with the Special Council’s investigation concluded and the final report handed in to Attorney General William Barr—finding no collusion or obstruction— It appears that Trump was right all along. A more critical look into the subject matter shows why Robert Mueller’s conclusion was the only possible one. In order to believe Trump could have colluded with Russia during his campaign, you must first buy into the assertion that, “Russia interfered with our election” from the start. So the root question you must ask yourself is, did Russia really intervene in our elections to “put a thumb on the scale” for Donald J. Trump? Copious evidence suggests that Russia in fact did not interfere with our elections to any direct quantitative extent, and the proof presented to a largely uninformed public was circumstantial at best. The evident claim relied largely on the people’s lack of understanding cyber technology, a narrative with top secret clearance plot holes so big you could drive a truck through them to cloak veracity in enigmatic obscurity, the authoritative word of known liars such as John Brennan and James Clapper to perpetuate the lie, and was constructed around fake opposition research done by the Clinton campaign known as the Steele Dossier. A culpable and negligently biased media echo chamber shouting half truths also perpetuated this “Witch hunt.” Journalists largely chose an angle of the Russian collusion story which told only what they wanted the public to hear rather than both sides of the story — much to the disservice of our entire nation. Journalists often characterize themselves as veracious harbingers of the truth, the whole truth, and nothing but the truth. However, when a majority of journalists engage in pseudo-journalism at the expense of the truth which they swear to tacitly search for — they have indeed become the enemy of the people as the president stated numerous times. If you’re scratching your head today trying to come to grips with how such a certain narrative of Trump’s Russian collusion could come crashing down so spectacularly — I have explained why Russia’s involvement in the 2016 election cycle isn’t so certain right here. If it was China and not Russia that hacked the Democratic National Committee’s servers to give Wikileaks the damaging Clinton emails (as the former Intelligence Community Inspector General stated) then there would be no Russian scheme for Trump to collude over even if he wanted to. Perhaps it’s now time for a re-examination of Russian electoral interference. At the end of this particular chapter though, and as much as it may make democrats cringe — President Trump has been right all along to call Mueller’s investigation “a phony witch hunt” because it was probably based on a lie.